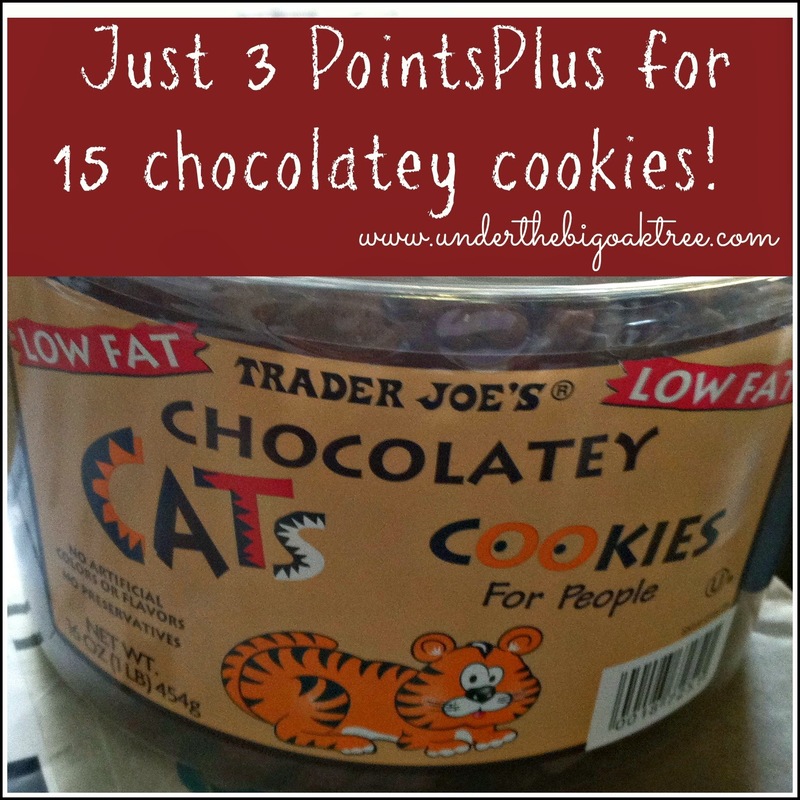 Under the Big Oak Tree: Trader Joe's Chocolatey Cats...Cookies for people! 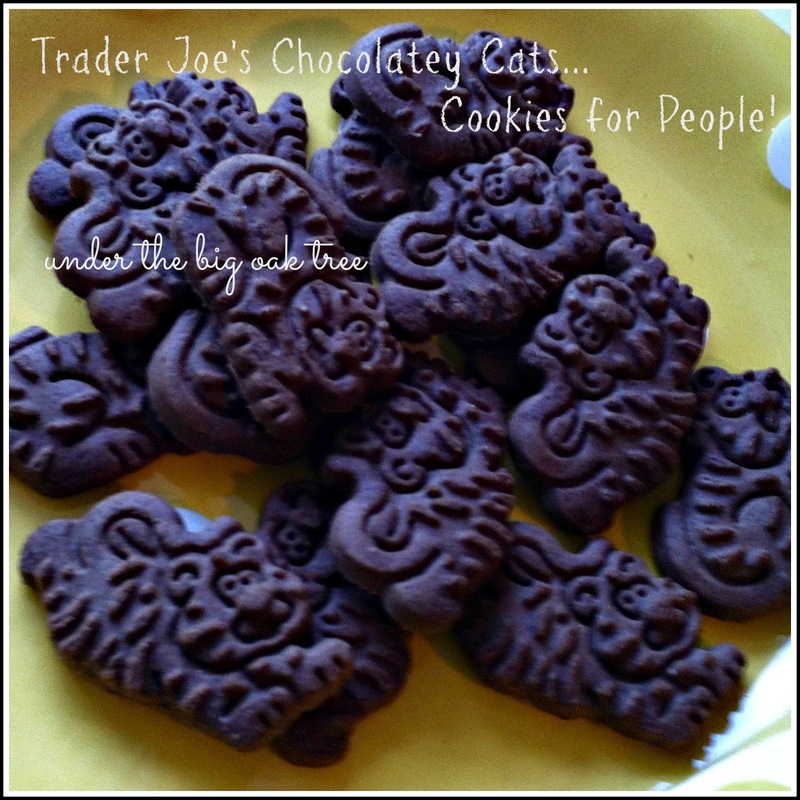 Trader Joe's Chocolatey Cats...Cookies for people! In case you haven't heard, I'm on a diet....AGAIN! Yes, I am getting back on the wagon and attempting to shed some pounds. I haven't been happy with my weight for a long time and it's about time I do something about it. A couple of months ago, I joined the Weight Watchers Online program. It's been slow going since I've had more than a couple of weeks where I just wasn't 100% in the game. But, I'm going to keep on trying. Anyway, I decided I should share products that I like to eat while I'm watching my weight. Sure, we all know that fruits and veggies are great options when trying to lose weight, but sometimes we need items not found in the produce aisle to get us through the day. This is one of those products! I started buying these cookies from Trader Joe's ages ago. Back when I was doing Weight Watchers about 10 years ago! I had actually forgotten about these cookies until stumbling across them on a recent trip to Trader Joe's. They were a must-have item in my pantry then just as they are now! I bought them without checking the points first. I was hoping that with the new changes to the Points system that they were still low in points. I was incredibly ecstatic when I found they were still just 3 points for 15 cookies! They aren't too pricey for a big tub of cookies, either! They are so full of chocolatey flavor that they are very satisfying if you're like me and have a sweet tooth! 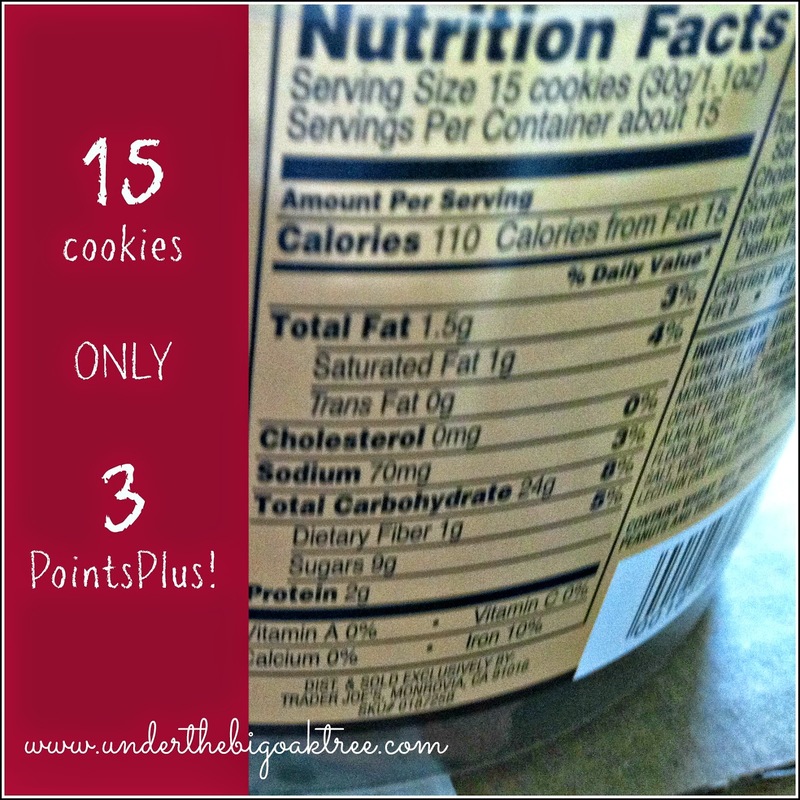 Sometimes, I divide the 15 cookies into 3 servings and nibble on them through the day! Even 5 cookies when I "need" something sweet after lunch is enough to keep me happy on those bad chocolate craving days! Note: I was not compensated in any way for this post. I just love these cookies and thought you would, too! For more Weight Watcher's Friendly items, be sure to check out the tab at the top of the page under our title. I had never heard of these cookies before but I must say, they do look pretty good and I could see how 15 cookies would help the cravings.